Ada pertanyaan untuk Ace Inn Shinjuku? Jika apa yang Anda cari adalah hotel yang terletak strategis di Tokyo, carilah Ace Inn Shinjuku. Dari sini, para tamu dapat menikmati akses mudah ke semua hal yang dapat ditemukan di sebuah kota yang aktif ini. Dengan lokasinya yang strategis, hotel ini menawarkan akses mudah ke destinasi yang wajib dikunjungi di kota ini. Ace Inn Shinjuku juga menawarkan berbagai fasilitas untuk memaksimalkan pengalaman menginap Anda di Tokyo. Untuk kenyamanan para tamu, hotel ini menawarkan WiFi gratis di semua kamar, resepsionis 24 jam, penyimpanan barang, Wi-fi di tempat umum, tempat parkir mobil. Para tamu dapat memilih dari 112 kamar yang semuanya dilengkapi dengan suasana yang tenang dan harmonis. Disamping itu, hotel memiliki berbagai pilihan fasilitas rekreasi yang menjamin Anda melakukan bermacam hal selama menginap. 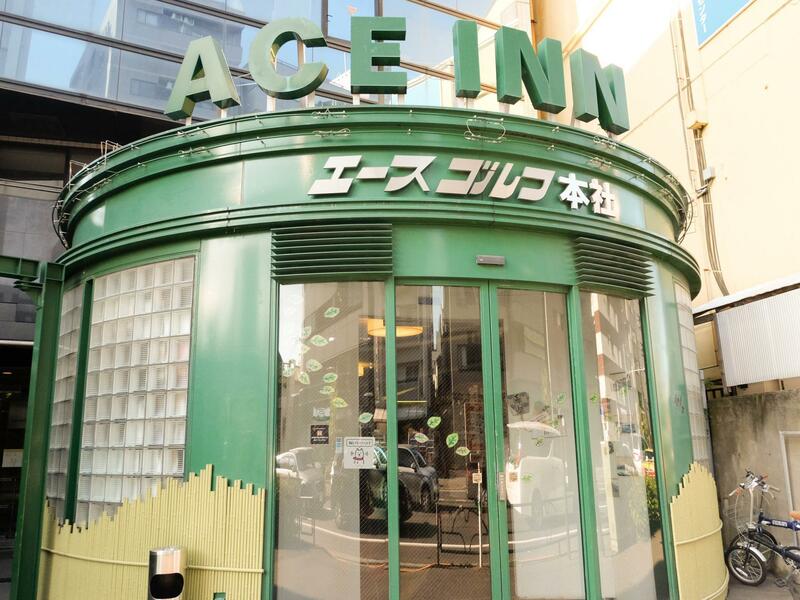 Ace Inn Shinjuku adalah tempat menginap ideal bagi para wisatawan yang mencari pesona dan kenyamanan dari Tokyo. Pengering rambut dan setrika tersedia gratis di resepsionis. Sikat gigi, detergen, silet, mi gelas dan penyewaan baju malam bisa dibeli di resepsionis. Traveling di sekitar tokyo terasa begitu mudah dari hotel ini. Apapun dapat dijangkau karena dekat stasiun kereta. Hem tentu saja mudah, karena informasi di hotel tersedia dengan lengkap. Tak perlu khawatir gak bisa bahasa jepang, sebab resepsionisnya pake bahasa Inggris. Pokoknya asyiklah keliling Tokyo dari hotel ini. I like this property because it is near from Shinjuku and the environment is not busy as it is also a residential area. I had a impression that this property has more guest but it seems they have more vacancy than before. I also like the shopping street nearby. Stayed in all three types of rooms during my stay. All are spacious and comfort. Staff are helpful and nice. But no personal electric socket within capsule for the economy type, just one or two near to the door for the whole room. Shower facilities are limited. Only two for females for the whole building. Always queued for shower. But generally it's still a nice and valuable stay. I have mixed feelings about this place. The beds were comfy and bigger than they looked. Towels are free and so is tea (green and black ) and coffee. They were helpful and the showers were nice. Down sides were the sheer number of people per room (there were 27 pods in my room) which makes it noisy. Also, there were 9 floors do rooms but only 3 female/ 3male showers. Lastly, there were no charge sockets in/near the beds. This hostel has not had a good cleaning or update in too long. The shower rooms were covered in mold and stains. There were cockroaches running across first floor by the elevator. The common room on the 9th floor has only couches with holes and one that was completely broken. It was not clean. The hostel is close to a subway station, which was good. The hostel is located to some of main attractions amd connected to Shibuja station. The bed was quite ok, but there were only 3 women showers for everybody. There was a moisture in the shower facilities. The common space is in a very poor shape so the only place to socialise is at a bar near reception. There is free coffee/tea. The stuff was friendly. My 7. floor capsule (pod) in the ladies’ dorm was okay, but the guests were noisy and anyone could just walk in. The locker was too narrow for my standard-sized hand luggage and the carpet was stained. Toilets and washrooms were next door and clean enough. There are a few moldy showers in the basement serving all capsules, and there's only 1 lift (no stairs) for all 11 floors. . Free coffee and tea in the lobby downstairs, but the furniture in the common room (floor 9) was dirty and damaged. Dirnks from the machine in both locations. At reception you can grab a free towel, and a coin for 10 minutes of shower. Staff was friendly. For an authentic Japanese capsule experience go somewhere else. Positives: This hostel is in a great location and the staff are friendly. It's fairly cheap. It's easy to find/ get to and close to the station. There is a separate floor for talking and socialising. Downsides: The age & poor general design of the building mean every sound is amplified. Lockers are loud, bathroom is loud. Beds have only a single powerpoint, difficult to use with some adaptors due to the placement of a powercord for the light. Showers are pretty average. 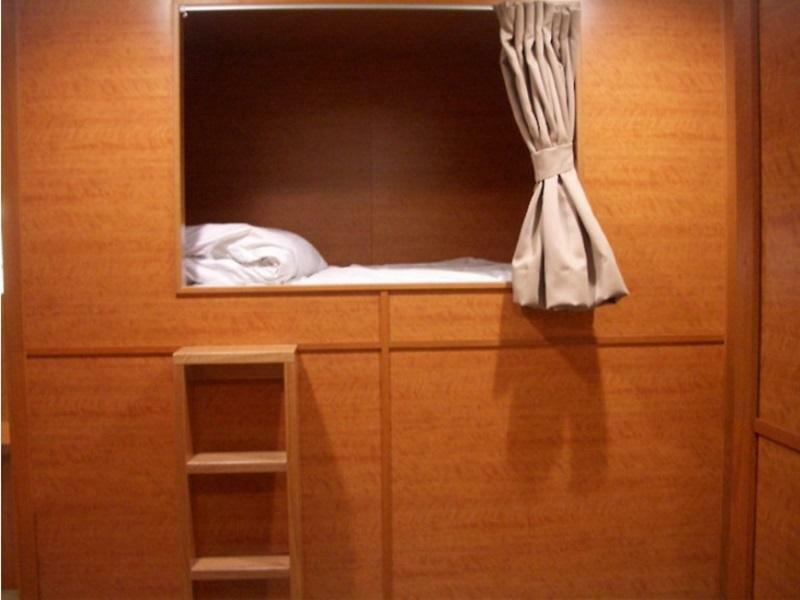 Come here for the low price or location - if you want nice facilities, there are other, nicer capsule hotels in Tokyo. The location is easily the best part of this hostel. Literally 2 mins from the subway that allowed my fiancé and I to travel all over the city. The staff was great (helped us track down a lost wallet). We stayed in a mix dorm capsule. 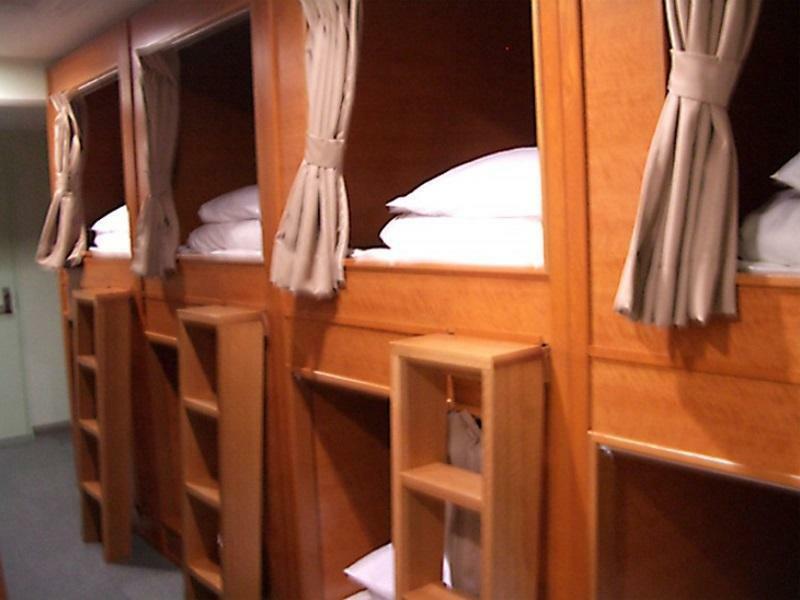 The lockers are a great size and the capsules were huge and comfy. The dorms were quiet. Only small complaint I had was that the bathrooms could be cleaner but it is to be expected with it being communal. That being said the bathrooms are in the basement but you get your own shower area which was great. Just bring shower shoes. Towels are free. Overall great hostel experience. Don’t expect it to be a 5 star hotel, but it’s perfect if you’re exploring the city and barely at the hotel. Cheap stay for a couple of nights in Tokyo, good location. The place is old and the rooms are a bit smelly. The bed is hard and the blanket is short. Internet-Connection is strong. The kitchen and common space is very simple. Free Coin Showers are located at the basement. Staff were really lovely here. Location is close to Akebonobashi station (not Shinjuku station). Place is tidy, bed is comfy and clean. There are restaurants nearby open 24 hours too, so that was good because I arrived late at night. Reception were fantastic as were the sleeps. Comfy, clean, really cool people and service. spoken English was perfect, as were the conversations. I felt like they knew what I wanted when I wanted it, looked after my luggage outside, while i was getting myself sorted, very flexible and I felt like the ground level was office space (much needed office space) for the period that I was there - thank you so much for that! Coffee, tea at hand, and lots of munchies near by, cafes, restaurants and convenience store with fresh food, bread, sushi etc, thanks for tips on what to snack on, where to go etc (love the fresh edamame beans you can buy instead of chips, and thanks for searching high and low for a charger for my dying lap top when I couldn't find mine - and for putting everything aside to do that urgently, when I needed it working again. You looked after it for serveral hours too, while I sorted through a myriad of other bits and pieces. the service here was brilliant. they really care about each traveller, on a personal level. I feel that this hostel/hotel was value for money. The location was perfect, so close to a subway, convenience stores, restaurants and take away facilities. Also walking distance from Shinjuku (train & bus station). Via the metro it takes about 4 mins to Shinjinku station. Cleanliness, good enough id say. Showers required a free coin lastin 10 mins. Hot water always available. They are located down stairs. 9th Floor provided great tokyo views. Microwave, Fridge and hot water. Also vending machines for food and drinks. Wifi is always available too!! So happy here. Staff were very friendly and helpful. Least Fave part would be powerpoint availability. Its limited. Also lockers were super skinny and really useable. luckily japan is pretty safe!! 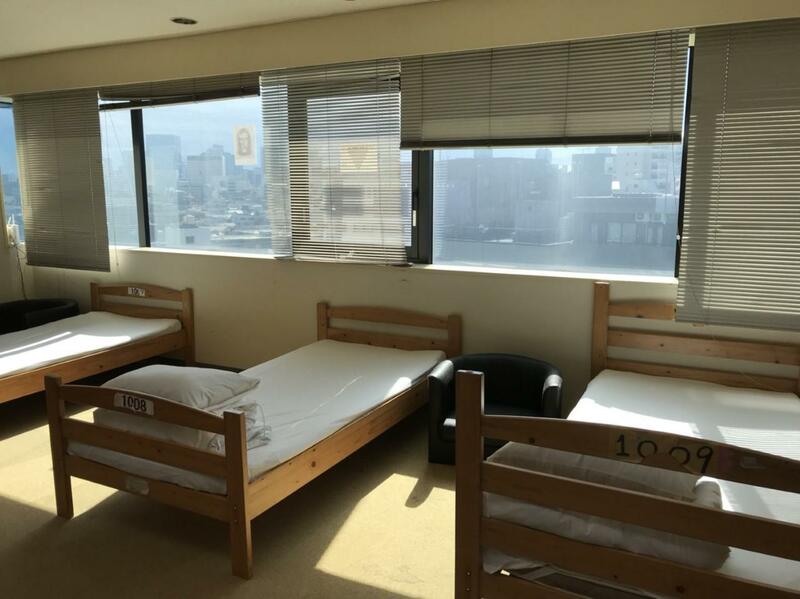 I would definitely recommend this hostel to anyone wanting to check out Shinjuku or anywhere else in Tokyo. The rooms were comfortable and the service was great. If this us an option for you I would definitely recommend it. Great hostel and the staff is very helpful especially the manager. There is room to Ve improved however, the room should have dedicated room where guest can do pack/unpack without disturb other people.